Free the Science Week celebrates those working to eliminate barriers to access for researchers around the world. Yesterday’s blog post discussed ECS’s Author Choice Open Access program, which enables many authors to publish open access at no cost to them. 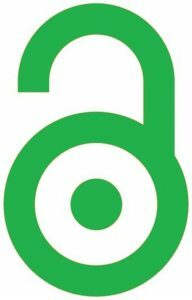 But did you know that the Society also supports green open access? 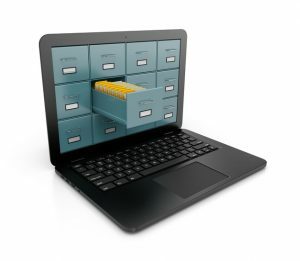 ECS’s green open access policy allows you to freely and immediately share the articles you publish in ECS journals without using an open access article credit or paying an article processing charge. 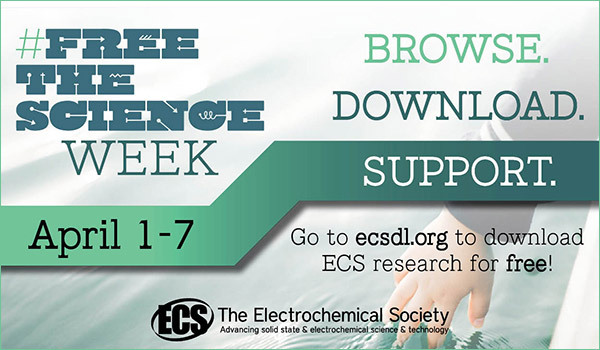 With Free the Science Week in full swing, readers have free, uninhibited access to the more than 151,000 articles and abstracts in the ECS Digital Library until Sunday, April 7. But the Free the Science initiative isn’t just about making research free to access; it’s also about making research free to publish. So one of the best ways you can celebrate Free the Science Week is by making plans to publish your next ECS article Author Choice Open Access. ECS is pleased to announce that articles published in its two peer-reviewed journals, the Journal of The Electrochemical Society and the ECS Journal of Solid State Science and Technology, are being indexed in Clarivate Analytics’ Web of Science (WoS) faster than ever before—on a rolling, article-by-article basis. The journal impact factors (JIFs) for the ECS journals continue to grow, as evidenced by the data recently released by Clarivate Analytics. For the 2017 reporting year, the ECS journals continue to be among the top-ranked journals. 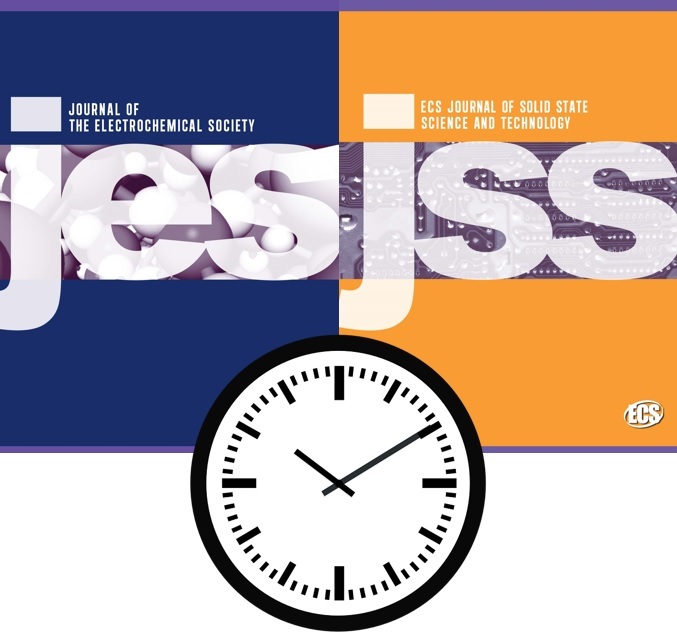 Journal of The Electrochemical Society (JES) is in the top two for Materials Science, Coatings, and Films; and in the top ten for Electrochemistry. 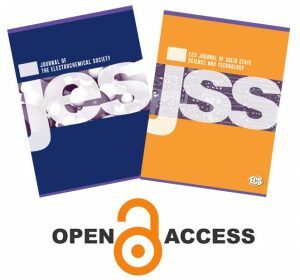 The JIFs are published in Journal Citation Reports (JCR) and are just one metric used to gauge the quality of a large number of scholarly journals. Survey Finds ECS Publication Process Fast! In a recent survey of over 100 corresponding authors who published in ECS journals, over 55% of respondents said the speed from initial manuscript submission to publication was faster than expected, and nearly 25% said it was very fast. The survey also asked the authors to rate ECS’s turnaround speed during specific periods of the publication process: (1) from initial submission to first decision, (2) from manuscript acceptance to receipt of page proofs, and (3) from manuscript acceptance to publication. ECS recently announced the reappointment of S.V. Babu, Distinguished University Professor of Chemical and Biomolecular Engineering in Clarkson University’s Wallace H. Coulter School of Engineering, to its Editorial Advisory Committee (EAC). The EAC expedites and facilitates evaluation and publication decisions of manuscripts submitted to ECS journals. 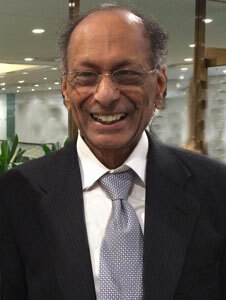 In this role, experts like Prof. Babu, provide support to the journal editors in areas where existing technical editors and associate editors may need additional assistance. Committee members are available for a rapid review and additional opinions to supplement conflicting or imbalanced comments from other reviewers; processing assistance in the journal areas that receive a large number of annual submissions; and reviewing and expediting articles that go in the Society’s other communications media. Babu is the past director of Clarkson’s Center for Advanced Materials Processing and an expert in the field of chemical-mechanical planarization (CMP), holding 31 patents. He has supervised 44 PhD and 38 MS students and is a co-author of more than 250 professional publications, including 198 peer-reviewed publications. He has organized and co-organized many conferences and symposiums, as well as served as keynote speaker numerous times. He has been named twice with the IBM Faculty Award (2004 and 2016), and acknowledgement of his contributions to education and research from Intel, The Chinese Academy of Sciences, and the World Education Congress among other external recognition.